The Boston Youth Moves’ Producers’ Circle has announced that the 2012 Swellegance Gala Benefit will present two-time Tony Award winner Chita Rivera performing songs from her legendary Broadway career in "Chita Rivera: My Broadway," for one night only, Friday, May 4, at the Citi Performing Arts Center Shubert Theatre, 265 Tremont Street in Boston. All proceeds will go to Boston Youth Moves. Tickets are available in person at the Citi Performing Arts Center Box Office, by calling 866-348-9738 or visiting www.citicenter.org. Special VIP premium tickets include the performance plus admission to the "After Party with the Stars" with Ms. Rivera at the Four Seasons Hotel. Ms. Rivera, accompanied by a 6-piece orchestra, led by musical director Michael Croiter, will perform selections from her most celebrated musicals, including numbers from "West Side Story" (“America”), "Sweet Charity" (“Where Am I Going?” and “Big Spender”), "Chicago" (“All That Jazz” and “Nowadays”), "Kiss of the Spider Woman," "Bye, Bye, Birdie" and "The Rink," featuring the music and lyrics of Leonard Bernstein, John Kander & Fred Ebb, Charles Strouse, Stephen Sondheim and Cy Coleman, among others. 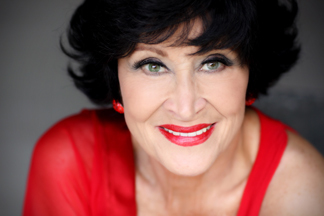 According to Boston Youth Moves Co-Director Jeanette Neill, "We are honored for the opportunity to share this living legend, Chita Rivera, with Boston. Chita's generosity and commitment to fostering the next generation of young artists has lead to this extraordinary ONE NIGHT ONLY performance to benefit Boston Youth Moves and we couldn't be more thrilled!" Now in it’s 12th year, Swellegance is the embodiment of fun and sophistication. It’s an evening of smart cocktails, swell people and sophisticated entertainment that has rapidly become one of the major events in the city of Boston. Boston Youth Moves (BYM) is a non-profit, after-school arts education program whose mission is to encourage young people, through training in the art of dance, to explore their limitless potential for artistic expression and realize personal success. Founded in 1990 by Jim Viera and Jeannette Neill, BYM offers superlative dance training to teens in the Boston and greater Boston area and provides subsidized tuition for its students and offers scholarships and financial aid to students in need. A legendary actress, singer and dancer, Chita Rivera has won two Tony Awards as Best Leading Actress in a Musical ("Kiss of the Spider Woman," "The Rink") and received seven additional Tony nominations. She starred in the Broadway and touring productions of "The Dancer’s Life," a dazzling musical celebrating her spectacular career, written by Terence McNally and directed by Graciela Daniele. She also recreated her starring role in "The Visit," the new Kander/Ebb/McNally musical, at the Signature Theatre in Arlington, VA (originally done at the Goodman Theatre, Chicago, in 2001) and starred in the revival of the Broadway musical "Nine" with Antonio Banderas. She trained as a ballerina (from age 11) before receiving a scholarship to the American School of Ballet from legendary George Balanchine. Her first appearance (age 17) was in the chorus of "Call Me Madam." Her electric performance as Anita in the Broadway premiere of "West Side Story "(1957) subsequently brought her stardom; she repeated the role in London. In addition to receiving The Presidential Medal of Freedom from President Barack Obama on August 12, 2009, she received a coveted Kennedy Center Honor in Washington, D.C. in December, 2002 and is the first Hispanic ever chosen to receive this award. With a new CD entitled "And Now I Swing" Chita is on a nationwide concert tour of "Chita Rivera: My Broadway." For tickets and information, call 866.348.9738, stop by the box office, or visit www.citicenter.org.